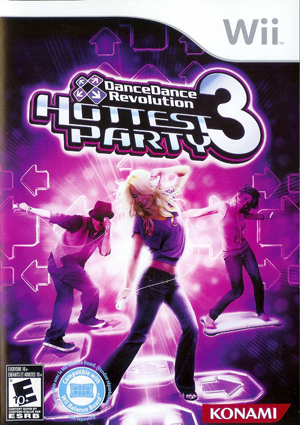 Dance Dance Revolution Hottest Party 3 is a rhythm-based dancing game for the Nintendo Wii. It is a video game released by Konami in 2010. The game can be played using a dance pad, the classic controller, or the Wii Remote and Nunchuk combination. It has two games preceding it: Dance Dance Revolution Hottest Party and Dance Dance Revolution Hottest Party 2. The graph below charts the compatibility with Dance Dance Revolution Hottest Party 3 since Dolphin's 2.0 release, listing revisions only where a compatibility change occurred. This page was last edited on 7 January 2018, at 10:07.